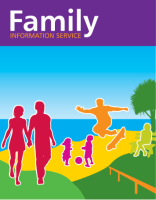 We hold a wide range of information for families in Torbay who are either accessing our services or looking for available groups, events, activities, advice and other support available. The information we hold is managed by the Family Information Service Team, much of which can be within the Directory. Other methods of communication include the social media such as Facebook and Twitter or in person at the Family Information Reception on Union Street opposite the old Connections Office. If you would like any assistance in finding information on a specific service, you can also contact us on 0800 328 5974.